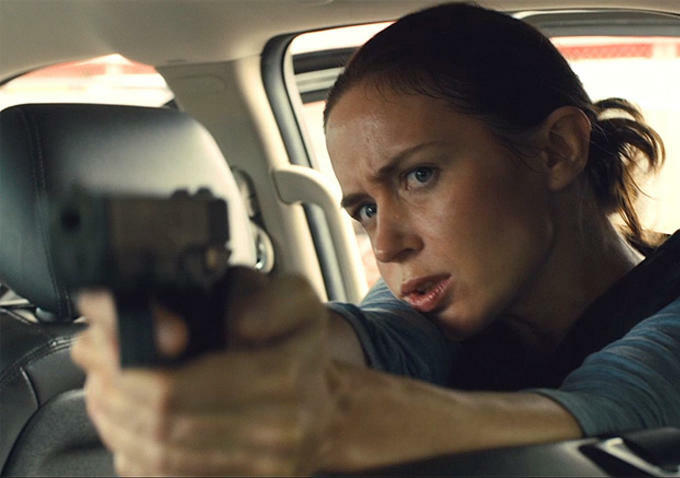 When news first came to light that Black Label Media, the banner that backed Denis Villeneuve’s adorned actioner Sicario, was keen to engineer a sequel, it was almost as though April Fools’ Day came early. But low and behold, six months later and the studio continues to drop hints that a follow-up is in the works, this time revealing that Emily Blunt, Benicio Del Toro and Josh Brolin – the core trio that anchored 2015’s FBI thriller – are on board to reprise their respective roles. That’s perhaps more advanced than many had anticipated, although the main sticking point for the production company now will be whether to hold out for Denis Villeneuve to return at the helm – the director is currently bust at the helm of Warner’s Blade Runner 2 – or push ahead regardless. “Taylor’s a really great world-builder. He’s got that kind of modern Western voice, which is in vogue right now. And he did it again [with the sequel]. It’s a great big world. We can’t reveal the plot, but you’ll see [Emily Blunt, Benicio Del Toro and Josh Brolin] all come back,” Lukinbill said. Sicario, one of the finest thrillers of 2015, is primed to get the sequel treatment for better or worse. Of course, it’s easy to be skeptical considering that Denis Villeneuve’s taut actioner doesn’t necessarily lend itself to an expansion, but if the core cast do indeed return, then we can muster a sense of cautious optimism.